ACTAtek has been a solution for giving access and restrictions to pool areas with gate access in condo associations, apartments, and public pool areas. Management can be done through the ACTAtek software at the unit itself or at a computer for administration ease. 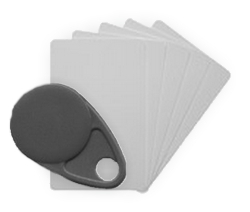 Pin Pad + Mifare Card: Allows for authorized card and fob access or a designated pin code to gain access to the pool area. 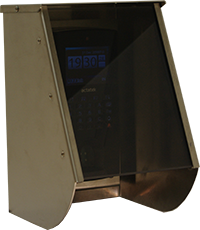 Pin Pad + Fingerprint: Allows for authorized card and fob access or an enrolled fingerprint to gain access to the pool area. Pin Pad + Mifare Card + Fingerprint: Allows for authorized card and fob access, fingerprint, or a designated pin code to gain access to the pool area. The logo option is chosen if you would like to have your community’s logo or name of the facility on the ACTAtek LCD screen. It is limited to 200 pixels x 20 pixels. If you have questions about the type of logo than can be converted to the ACTAtek screen please call 866-400-9292. To learn more about ACTAtek specifications please visit the product page at: www.fingerprintdoorlocks.com/products/actatek/actatek.php. or the designated website at www.ACTAtekUSA.com. Swinging gate locks are more common for pool areas than sliding gates. The options above are for swing gates. If you need information on sliding gate locking options please call our representative at 866-400-9292. The ACTAguard is a stainless steel enclosure made specifically for the ACTAtek to ensure protection from the rain and other outdoor elements that could limit the units’ life span. This product is suggested if the ACTAtek will not be under cover around the pool area. Some situation may have the ACTAtek under a building structure with a roof or enclosed area. In these situations the ACTA-guard is not always suggested. 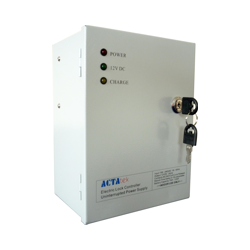 The ACTA-UPS is suggested as a power supply and battery backup. The system has a built in electronic door lock control and secure external relay for reliability even if an electrical shortage occurrence occurs. Your system will be able to provide access even when a power outage occurs for up to 16 hours. There is no maintenance needed for the UPS as it will self-charge itself. This is suggested for any pool access situation. If power should go out in the pool house or other facility areas then access to the pool via the ACTAtek will not be interrupted. 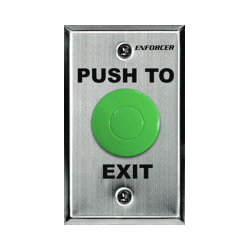 The weatherproof request-to-exit button option allows for a push of an installed button to exit the facility.Any request to open/exit button should be weatherproof if located outside, especially when installed at pool gates. Cards or fobs that are used to gain access in ACTAtek models with a built in card reader can be purchased in increments of 25. This mifare option is compatible with the model options available above. If you are in need of HID or other ACTAtek and card compatibility types, please contact us at 866-400-9292.